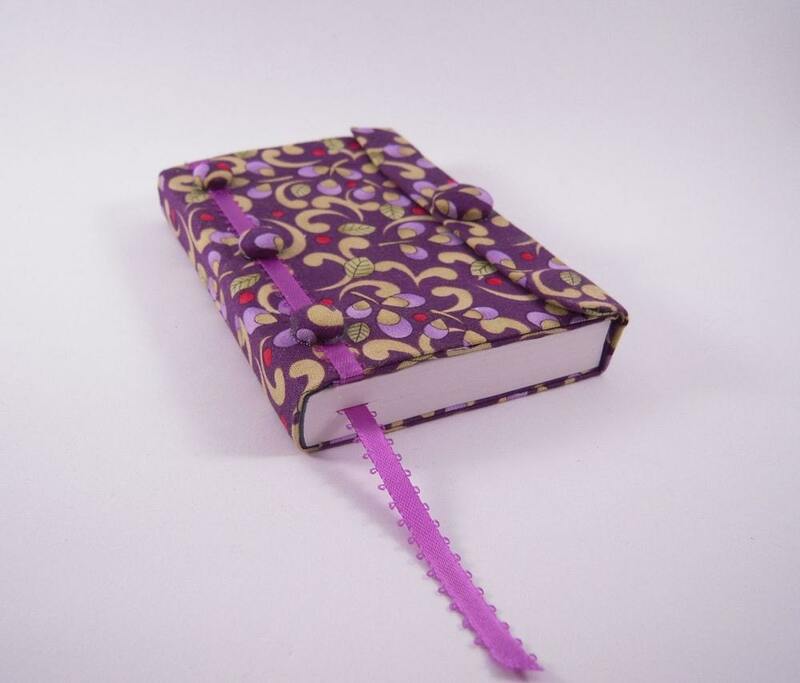 Women in the Scriptures: Celebrating My "Blog-iversary" with INCREDIBLE prizes! Celebrating My "Blog-iversary" with INCREDIBLE prizes! Tomorrow is the second anniversary of the day I started this blog. I remember how excited and nervous I was when I posted my first post about the Widow of Zarephath and how giddy it made me to get comments on it. I guess things haven't changed too much since then because I still get nervous when I post something and I still get giddy with comments... maybe even more so now. What a wonderful two years it has been for me. I feel like I have grown so much in my testimony of Jesus Christ and in the divinity of women. It is becoming clearer to me just how much God really does love and respect women. In addition I have made so many wonderful friends, "met" amazing people, and learned so much from your wonderful insights. Thank you so much for reading this blog. I can't tell you how much it means to me. You have enriched my life in a way that is indescribable. May God bless each of you! "On the first "frame" in the painting that looks like carved wood there are pomegranates. Golden pomegranates adorned the hems of the robes of the high priests who served in the temple, along with small bells. Also the pomegranates are symbolic of fertility and blessing. The second carved row is taken from a fragment from the palace of Herod. The white "marble" corner stones are a design from a first century ossuary or bone box, these were used to collect the bones after a corpse has decayed and re-bury them. These boxes where then placed again in niches in a family tomb. The ossuary design is symbolic of death and resurrection. The stone surround is that Christ is the firm foundation, the cross in the stone work behind Mary and the Child is the future torment. Even fabric of Mary's tunic is accurate, it is from a fragment of a first century textile found in the Judean desert." Are you excited about this yet? I really wish this wasn't my blog so I could win it. I've fallen in love with this painting! Maren does beautiful work and you can see more of it at her Etsy shop, her blog www.marenscott.blogspot.com, or at her vintage Esty store. She does custom prints of this painting and you can go here to order one. "To create this collage I used a high quality print of my original painting "Nativity Star". Mixed media techniques using acrylics, pastels, gold leaf ink, vintage mica flakes, and stains for the background. Decorated with small designs created with a wood burner. It has a beautiful antique rustic finish with tiny crackles. It comes with a wall hanger on the back. Signed and dated on the back by me, Flor Larios 2010." Flor does amazingly beautiful work and you can see more of it at her Etsy store, her facebook page and her blog Flor Larios Art. 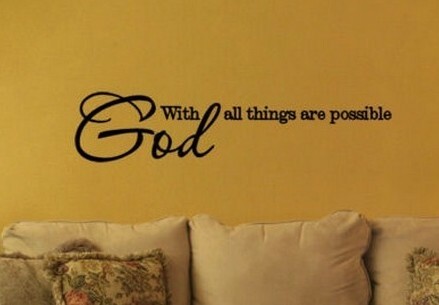 The second place winner will get this beautiful vinyl wall art from from iTwaddle. "Our vinyl lettering is adhesive pre-spaced lettering that can quickly and easily be placed on walls, boards, cars, glass, clocks, mirrors, plates... the possibilities are endless! Our rub-on wall lettering is easy to apply and just as easy to remove. It looks as if it was professionally painted on and its washable! We have pre-made layouts and we do custom-made layouts." I was so impressed with her vinyls. She has some really cute ones! Visit her Etsy store here to see more. The third place winner will get a $15 gift certificate to Our Happy Home. 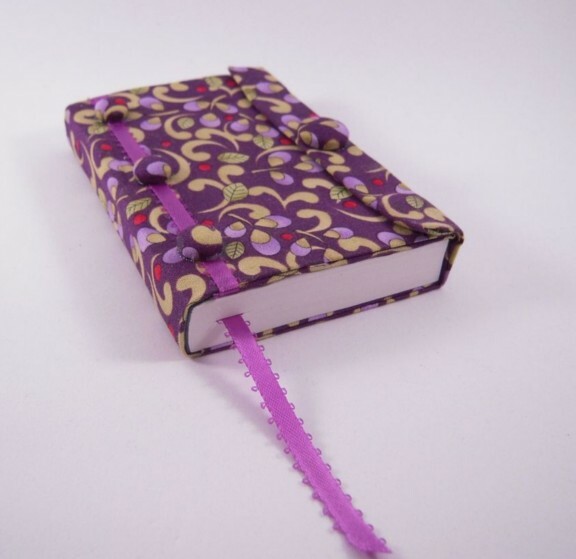 She makes these beautiful mini fabric covered Books of Mormon ( 3.5" X 5") that have a magnetic flap. They are the perfect size to throw in your purse, diaper bag, pocket or back pack or when you travel. They each have a coordinating ribbon book mark with handmade fabric covered buttons or cute brads to hold it in place. Custom designs are available. I am so excited about these little Books of Mormon. I am telling my husband to get me one for Christmas-- it would be the PERFECT stocking stuffer, especially for us scripture nerds! You can do one, two, or all of the following-- each one will give you an entry into the giveaway. #1- Leave a comment on this post telling me who your favorite woman in the scriptures is and why. #2- If you are taking the Women in the Scriptures challenge, leave me a comment on this post and let me know how it is going, and I'll give you an extra entry. #3- Become a "follower" (on the right hand side bar) of this blog and leave me a comment letting me know that you did. If you already are a follower let me know and you can have an entry. #4- Join the Women in the Scriptures facebook page and leave me a comment letting me know that you did. If you already are one the facebook page let me know and you can have an entry. #5- Mention this giveaway and link to this post on your blog, facebook, or twitter. Let me know which ones you linked to (you can do all three) and you can have an extra entry for each. There... that gives you 7 chances to win one of these wonderful prizes! I am going to let the giveaway run till September 28th at 11:00 PM. I'll announce the winners on my blog and on the facebook page on September 29th. Best wishes and thank you again for your love, your support, and your comments! I feel blessed to have found your blog. I hope it is not to late for me to take the "Women in the Scriptures Challenge"?! I love Esther. Her Strength and Faith amaze me each time a read about her. I find that when I am feeling low and weak. That if I read her story, I start to feel strong again. Especially when I want to deal with people who are not nice. I want to deal fairly and justly with others. Esther is a great example of that. Will fallow you soon on facebook! I have posted about your giveaway. Although since I am really new to blogging, I don't know if anyone will read it. I love all of the giveaway gifts! I have a lot of favorite women in the scriptures. I think the one I'm drawn to most right now is Ruth. I'm a convert and like her, I pretty much gave up my family and former expression of faith. Added your link and mentioned the giveaway on my blog's FB "like" page. Joined your Women in the Scriptures FB like page. It's hard to pick my favorite woman in the scriptures... but I've always been intrigued by Abish. Hey Heather. Congrats on how big and awesome your blog is getting! My favorite woman of the scriptures is definitely Eve. I realize that not everyone may agree with me on this one. But I believe that she knew what she was doing. She made a difficult choice when she chose to leave the Garden of Eden, and I admire her for her bravery and desire for learning and motherhood. P.S. This contest is awesome. I also joined your facebook page, and posted a link to your site on facebook. So that's 4 entries. This contest is awesome. And I love you! My favorite is the "great woman" of Shunem whose story is told in 2 Kings 4. And I became a follower :) Thanks! I love your blog and have been following it for almost 6 months! I have been doing the women in the scriptures challenge since you introduced it and I have grown so much in my faith. It has helped me to become a better mother. I love to do my reading in the morning before the children wake up. It really starts off my day right!! My favorite woman in the scriptures has always been Naomi- she is a woman of real courage and strenth in adversity! I will linke your giveaway in my blog. Keep up the good work, I truly love your blog! I'm a follower! And I'm posting a link to this blog on facebook. I have to say, my favorite woman in the scriptures right now (though this may be subject to change) is Esther. She is an example to me of a woman who had a firm testimony of a loving Father in Heaven - she would have to in order to have the courage she had. Do you want separate comments for each entry or can we do them all in one? 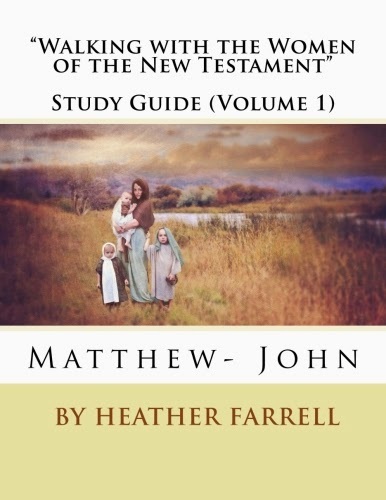 It's a tough choice, but Mary, mother of Jesus, is my favorite woman in the scriptures. She's such an amazing example of faith in very unusual circumstances. I "like"d you on facebook. I shared the link to this post on facebook. I think I'm going to start the Women in the Scriptures challenge. I will post again to let you know how it is going before the deadline! Oh, I hope I win the first prize--I love it! Hard to pick one woman, but I think Mary, Jesus' mother. Growing up somewhat Catholic, I have heard the most about her and can't help but, think about her every Christmas season. ps, forgot to add that--saying this somewhat tounge-in-cheeck--one of my favorites is Jael. Because I thought she was so cool for putting a stake through a guy's head. Well, mostly for breaking the mold of Old Testament females. I remember drawing a picture of her story in Seminary. My favorite woman in the scriptures in Sariah, Nephi's mother. She was the first woman I saw as a "real" woman. 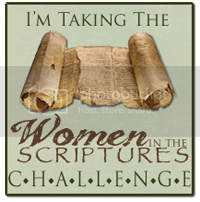 I'm taking the Women in the Scriptures challenge! I've really enjoyed how I notice the women in the background more than I did before and can see their importance. It's been a really fun challenge. I let my readers know on FB! My favorite woman is Eve...for obvious reasons! I am a follower. One of my favorite women in the scritures, has no name,but is referred to as "Daughter" by Jesus. She is the woman with the issue of blood for twelve years. I love her anonimity,that she wanted not to be seen but to be healed by her faith.So she only allowed herself just to touch the hem of Jesus's garment.She didn't need to speak or even assert herself. I love her,I have been her at times in my life and I have benefited from the healing power of Jesus Christ.To be called daughter is a privilege beyond all. Congradulations Heather, keep up the good work. Heather, I don't get on your blog often enough but when I do, I'm always learning and feel lifted up and taught. I love your strong passion about women and mothers and birth and just everything. I think it shows what kind of a person you are that you are always challenging yourself by learning more about women in the scriptures, etc. I admire you. by the way, those pieces you are giving away are all beautiful and very fitting for your blog. And I especially like the bofm cover...did you know that those smaller sets of scripture were made mainly for military? You have to get special ok to get those at least...a few years ago you did. They come in real handy in a diaper bag though so I encourage all to get them if they can.I love the cover for it--what a great idea since the actual covers don't stand up well to much use. I would love to have one for Rodney's when he deploys next. Ruth! Ruth is my favorite. I've always admired Ruth---her dedication to family, her nerve, her strength, but I admire her even more after reading your post. I, too, went where I felt I was led, and sort of proposed to my husband too! Great to see LDS women here! Just shared on my Facebook! what a givaway! please join me! i became a follower too! i also posted it on face book! Just found the blog. Going to look at the past postings! My favorite woman in the scriptures is hard to pinpoint. So many are favorites because of special qualities they exhibit at a time I need them! Ruth is near the top because of her dedication, charity and unselfish behavior. I mentioned the blog on fb! My favourite woman from the Bible? Mary, Mother of Jesus. So glad I saw this giveaway on FLor's blog! :) I must say Mary, the Mother of God is my favorite woman in the scriptures. To say she was an amazing woman is just an understatement... she was chosen to be the Mother of Jesus. First... I want to say that I love your blog. A friend emailed me a post last week and ever since then I have been reading your current posts/archives and quite enjoying it. I really loved your post on the importance of birth, and also the recent post about mothers and careers. I thought the former in particular was very thoughtfully stated and you shared some quotes I had never heard before which I always appreciate. I will be putting a link to you on my blog soon... but with one that I am working on right now so it probably won't be there in time for the give-away. As for that though... I am a fan, and I will say that my favorite woman in the scriptures is Mary the Mother of Jesus. I love to think of her, and do so with extreme reverence and love. What a tremendous responsibility was hers. I feel connected to her when I read that she "kept all these things in her heart." I have many experiences related to my own children that I keep in my heart too. Thank you for this beautiful blog. I probably won't comment often, but I will be reading. Hi! This is a wonderful giveaway! My fav. woman in scripture is by far the Blessed Mother. Her strength through all the trials she had to endure with her son gives me strength to get through my little troubles. Yeah, she's the gal who nailed a tent spike through some guy's head. Oh, and I am now a follower. My favorite woman in the scriptures is Hannah. Before we got pregnant with Stephen, her story gave me a lot of comfort, and it still is a great reminder to me that our son is a blessing from our Heavenly Father and that, like Hannah, He didn't forget me. It really inspires me to try harder each day to teach Stephen of the Lord and His word. It also is a good reminder to me of what a great husband I have---Hannah's husband (his name escapes me at the moment) loved Hannah more than anything, even though she couldn't bear him a child, and Josh was the same way with me---very loving and listened to my tears and sorrows and stood by me through it all. I "like" this page on Facebook. I posted on my facebook page about this blog and giveaway. My favorite woman in the scriptures is Sariah. Her faith in following Lehi into the wilderness and her love for her sons are two qualities I hope to emulate. I am already subscribed to your blog and I follow it on Facebook as well. Heather, thanks for your inspired blog! My favorite is Mary because she is was so strong and inspirational. My favorite story is the story of Rachel and Jacob. I know we often talk about the waiting and working that Jacob did for seven years to get Rachel -- but what about the waiting that Rachel did for those same seven years, only to have her sister marry him first. OUCH! She was barren for years – I don’t know how many exactly, but enough that the first ten of Jacob’s twelve sons were born before she had her two. 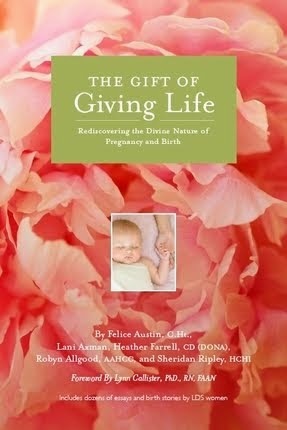 Leah’s first born had the birthright, which couldn’t have made Rachel’s barren condition any easier for her to endure. 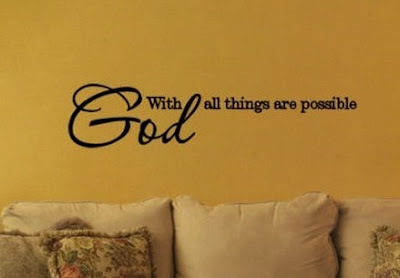 Still, Rachel taught her sons to always put the Lord first, love Him, know that His ways are best, and do His will, and then you can rest assured that all things that happen to you are right. The scriptures don’t exactly say this, but Joseph’s life does. What the Lord knew in Rachel’s situation, what Rachel simultaneously didn’t know, was that Reuben would transgress and lose the birthright, which would then go to the eldest son of the second wife, not the second son of the first or the first son of the third or fourth wives. And Joseph, though eleventh in his family, was born at the EXACT time he needed to, to the EXACT parents he needed to in order to accomplish the EXACT mission he needed to. His life is a tribute to his mother and father, particularly his mother and her teachings – lessons she learned in the 10-14 years of trusting in the Lord even when things didn’t make sense. She might have rebelled, she might have lost faith, she might have murmured – who knows, maybe she did all of those things – but in the end, she came out strong, SHE was the difference between Joseph and Benjamin and all of Jacob’s other sons. And HER first-born son accomplished amazing things for the Lord. I think Rachel is an amazing woman, and I love ALL the things about man's love, God's love, parenthood, faith, and the Plan of Salvation that we learn from her story! I think my favorite woman in the scriptures is Sarah. Even in her old age she was an example of a strong and virtuous mother. It's going great... painted this weekend for the first time in a long time... as I recently moved. Glad I came along to your page, by way of Flor Larios Art. I am now a follower of the blog and on facebook. Hello, Heather, you have a beautiful blog. My favorite woman in the scriptures is Mother Mary. She is my example on how we should be as mothers, and she is still caring for us up to now! But I made a canvas of the other Mary once, the one who spilled her perfume and used her hair to clean Jesus' feet. She 's my example on how to love with our all! hello, i found you through Flor Larios blog. congratulations on your blog anniversary! 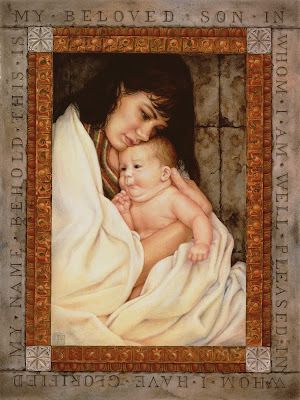 my favorite woman in the bible is Mary, because of her role as the mother of Jesus, and her life and example of faith. Currently, my favorite woman in the scriptures is Emma Smith. I'm amazed by her strength. Her story, and the stories of many women in the scriptures are so sad to me, but remind me to be strong, courageous, and hopeful like they were. Also, the talents of the artists who created your prizes are incredible! I love your blog. It has really helped me with my testimony and brought me to a much deeper appreciation of my own divine nature as a woman. Thank you. I have too many to pick a favorite, but I really love Hannah. I love the story so much that I named my daughter after her (plus I really like the name). I love knowing that our children are not our own. They belong to higher, holier, and more perfect parents. This has been a good reminder for me, especially with my Hannah. I joined your facebook page. Thanks for a great blog! Congrats! I am posting a blog about your contest. Hee. I like how many people said Jael. 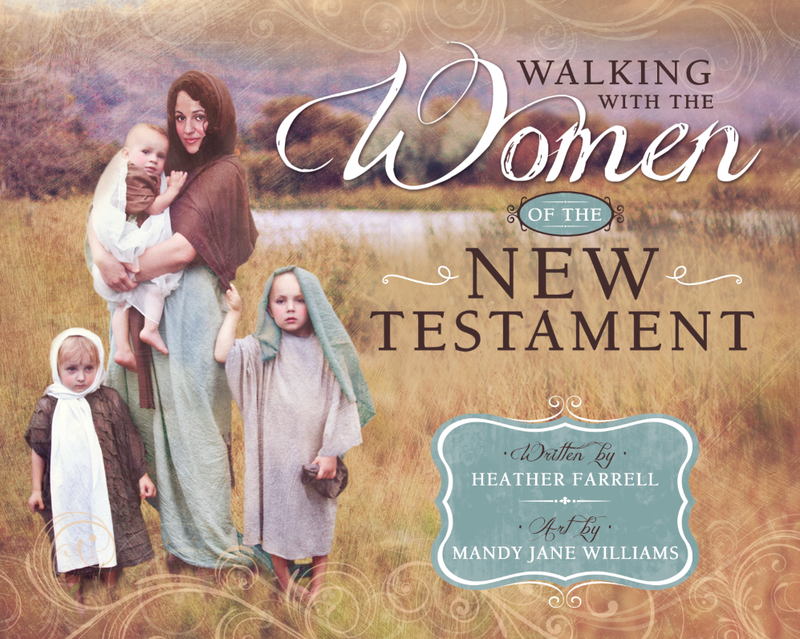 There are so many awesome women in the old testament; they're so full of goodness and passion and strength. I also think of Ruth, Esther, Rahab, Eve... getting out and getting things done, pursuing personal relationships with God. It's weird how their example got lost in historical Christianity. I'm glad we're aware of it again now. I've just become a follower, too. I guess I'll go with my gut reaction cause there are so many good choices! My favorite woman in the scriptures has got to be Eve . . . she who did what was best for the rest of the family of man despite the personal sacrifice. Hey. I'm now a follower of tbe blog. Thanks for the drawing, and more importantly, for the blog content. I put this up as my FaceBook Status: Tyler R Jones: All those who love the scriptures, and the women in them, check out Maren Scott's work at www.womeninthescriptures.blogspot.com you could also win something! I have a hard time choosing my favorite woman in the scriptures. There are so many great ones: Mary (Jesus' mom), Ester, Abish, Sariah. Sorry! I have a hard time narrowing it down! Today is the first time I've seen your website but I love your "Women in the Scripture Challenge" and would like to start it now! I liked Women in the Scriptures facebook page. I also am a follower on your facebook page. 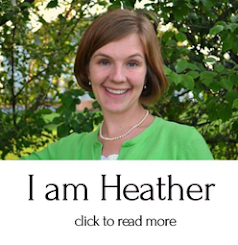 Heather, what a great blog you have! I do enjoy reading it and hope to read it more often. My favorite (at least for now) woman in the scriptures is probably Eve, I think she probably had a lot of faith and courage, and that is something I really look up to as a mother! I love your blog! One of my favorite women in the scripture is Sariah, Lehi's wife. I feel like I can relate to her a lot not because my 18 month old is going to slay a large man named Laban, but maybe because we both have boys and are always on the move like her family. My favorite woman in Scripture is Mary, mother of God. If she had not said "Yes" to carrying our Lord, then who? Like Mary, we have to be willing to say Yes to carry the indwelling spirit of Christ. I'll follow your blog. My favorite woman in the scriptures (currently) is Sariah. Actually it would be the women not mentioned by name in the beginning of the Book of Mormon. Nephi's Wife, and his goodly brother's wives. I can not imagine the roughness of their trials, giving birth and raising children while trying to get to the Americas. Incredible. Martha! Because she is me--and no matter how many times I temporarily focus on the wrong things, just like Martha in John 12, I continue to serve. One of my favorite women in the scriptures is Elisabeth, John's mother. Hi there! I'm new to your blog and I'm IN LOVE! Thank you so much for sharing this with us! 1. Became a follower of your blog. 3. And would like to share that my favorite woman in the scriptures is Eve. She was very noble and strong and I think of Eve when I am stressed as a mom or concerned that the choices I make aren't maybe what Heavenly Father wants me to do. Thanks again! I can't wait to read up on all I've missed here. You are amazing! My two favorite women are Eve and Mary. I can't imagine how hard life was for Eve and how much faith she had to have to live life outside of the garden after living inside. Mary is so humble and I look up to her because she was a person that the Lord trusted HIS child to. She was his mother. He knew that she would do what she needed to do to protect Him and teach Him about who He was. I love Sariah she is so strong and supportive of her husband and her children. I am doing your challenge. I have loved looking for women in the scriptures. I love this new approach in reading the scriptures. love to read the scriptures. Mary, the mother of God is my favorite woman from scripture. Her "yes" to God reminds me to always be open to God's will. I forgot to say who my favorite woman in the scriptures is... well there are a lot but I just read about Abish and how courageous she was. So for now... Abish is my favorite. One of my favorite women in the scriptures is Hannah. What faith it must have taken to promise to give that child to the Lord if only He would bless her with one. I don't know how she gave Samuel up when he was so young. She loved him, but loved the Lord more. She trusted that the Lord would fill her heart and He did. I just found your blog recently and I'm so grateful. Thank you for sharing your thoughts and testimony. I think I learn different things from all of the women so no favorite. Keep posting I love the blog it makes it easier for me to understand the Bible! Sorry I'm a day late with this, but I wanted to let you know how the women in the scriptures challenge is going, even if I don't get an extra entry for it, because I'm loving it! I'm doing it for the Book of Mormon. 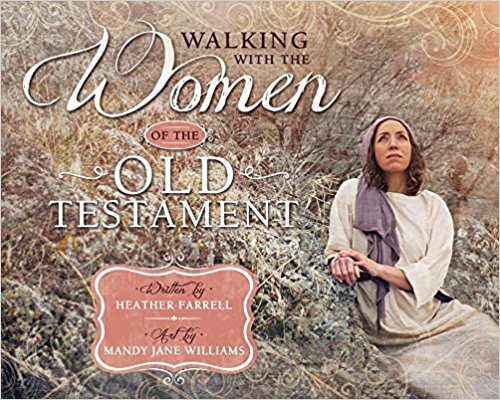 It has helped me see the scriptures in a different light and really think about the lives of these real women and really identify with them, when I didn't think much about them before because they aren't really written as the main characters--but they were still amazing women and role models. 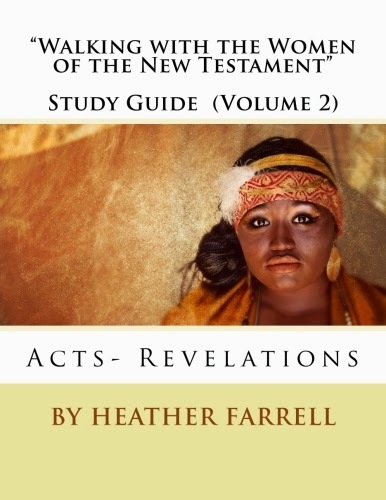 I have been thinking that the story of 1st Nephi told from the perspective of Nephi's wife would make a really good historical fiction novel.